This is a rectangular Imperiales Cigarettes porcelain sign. 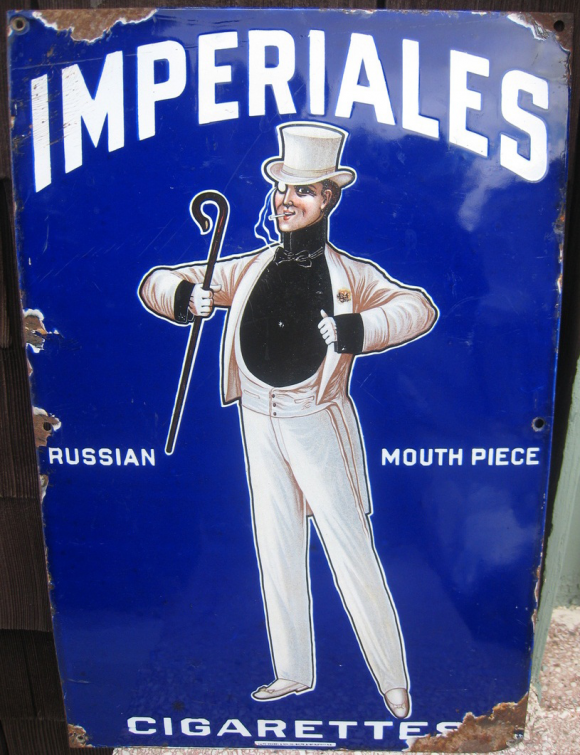 This particular Imperiales Cigarettes sign is blue with white print. It reads, “Imperiales Cigarettes, Russian Mouth Piece” and features a gentleman dressed in a white suit with a top hat and cane in the center.